The VIP Vision VSIP3MPPTZIR is a 3.0 Megapixel, wide dynamic range, IP PTZ surveillance solution capable of streaming beyond 1080p high definition footage. This camera features 3.0MP (2048 x 1536) image resolution, with 100m infrared range for low light/night video capture and a motorised varifocal 4.7 ~ 94mm lens with up to 20x optical zoom. 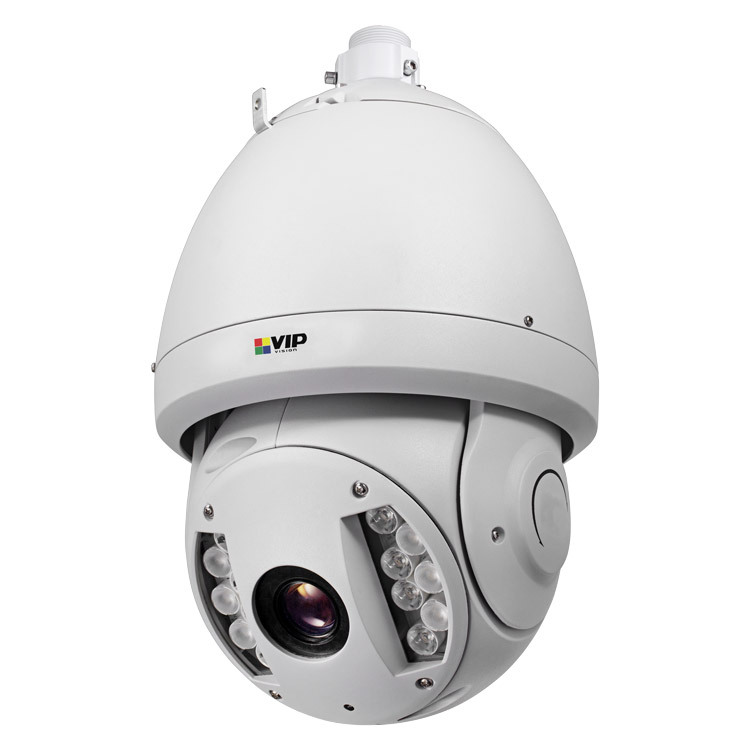 This IP PTZ camera supports internal SD card storage and can store footage locally, providing a truly standalone surveillance system that doesn’t require a connection to a central storage device.